The WPA jury has made its selection of photos from the August competition. Vote now for the winner, who will win a stay in a five-star hotel in Geneva. The Watch Photo Awards were launched on 1st May 2018. It’s the first annual international watch photography competition open to amateur watch lovers and photographers, as well as professionals. This year will feature six monthly competitions: one for every month from May to October, each on a different theme. The third round, which took place in August, has just ended. The theme was “on two wheels or four”. In accordance with the rules of the Watch Photo Awards, the jury (comprising Pierre-André Montjovet, Denis Hayoun, Marie de Pimondan-Bugnon, Edouard Haegi and Brice Lechevalier) met to pick out the ten best photos for the month. Each member of the jury chose two, based on the criteria of creativity, relevance to the theme and technical proficiency. The jury has selected the photos below. You can now vote for your favourite photos by clicking on the "Like" button. Please note that you will have to confirm your choice once you have liked the photo. Having trouble voting ? 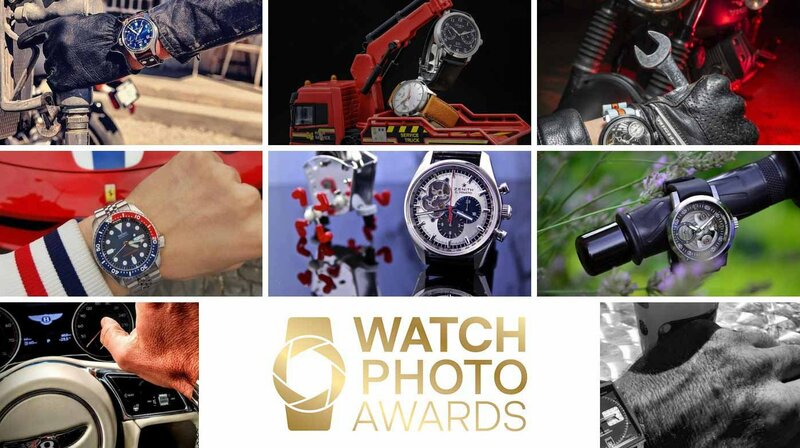 Head over to the Watch Photo Awards Facebook page. The photo that receives the most likes will win its photographer a two-night stay for two people, breakfast included, at the Ritz Carlton Hotel in Geneva. At a charming location on the shores of Lake Geneva and with an unspoiled view of the Jet d’Eau and Mont Blanc mountain. In September... "Food and drink"! The Watch Photo Awards continue in September, on the theme of "food and drink".